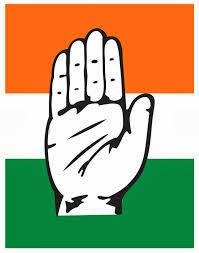 Aizawl, November 2: The Congress today re-nominated all its sitting 32 MLAs except two legislators for elections to the 40-member Mizoram Assembly and said that it would contest the state polls alone and would put up candidates in all the seats. Mizoram Chief Minister Lal Thanhawla would contest from two seats - his home turf Serchhip constituency and also from neighbouring Hrangturzo seat in Serchhip district in the coming election to be held on November 25 as per the candidate list announced by the party today. Presently the Hrangturzo seat is held by Lalthansanga of the Mizoram’s People’s Conference. The Congress which bagged 32 seats in the 2008 assembly polls re-nominated all its MLAs except Revenue and Excise Minister J H Rothuama and former minister Nirupam Chakma. In place of Rothuama, state PCC Mahila president T B C Tlangthanmawii would contest from the Aizawl West - I while Chakma would be replaced at Tuichawng seat by the present chief executive member (CEM) of the Chakma Autonomous District Council (CADC) B D Chakma. Top party leaders -- Home Minister R Lalzirliana and Finance Minister H Liansailova and Assembly Speaker R Romawia would contest from Tawi, Aizawl North-II and Aizawl North-I respectively. Opposition Mizo National Front (MNF), MPC and Maraland Democratic Front (MDF) combine have announced 12 candidates and the rest would be announced on Monday while the Zoram Nationalist Party (ZNP) would also announced its official nominees on Monday. R.Romawia Aizawl North-II-ST H. Liansailova Aizawl North-III-ST Lal Thanzara Aizawl East-I R.